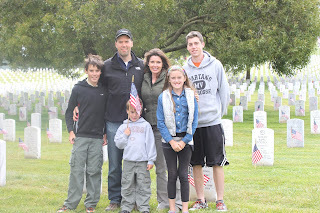 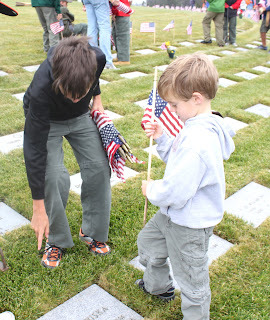 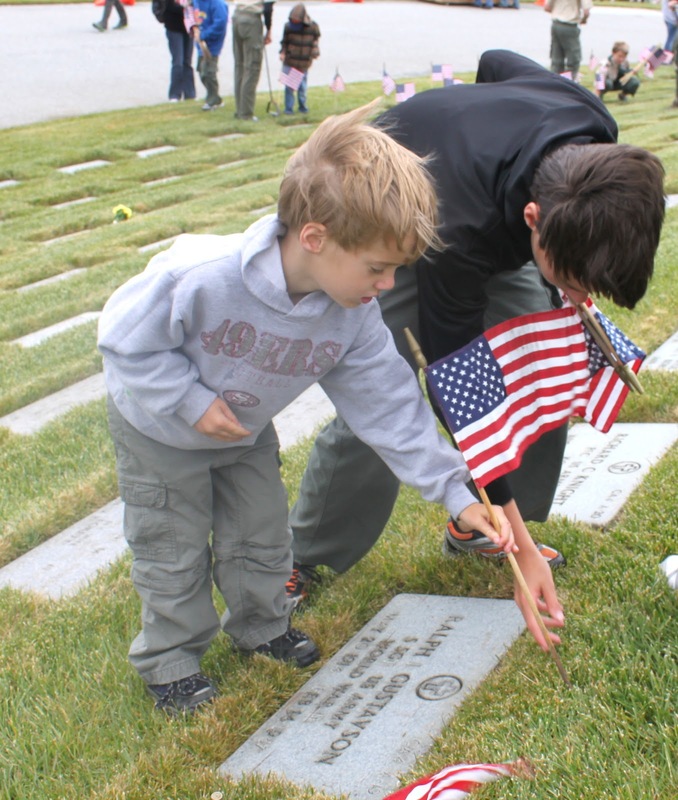 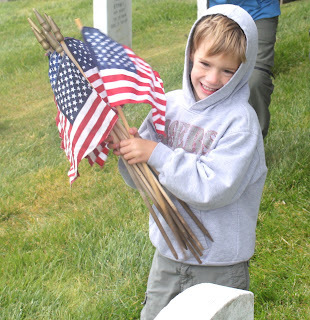 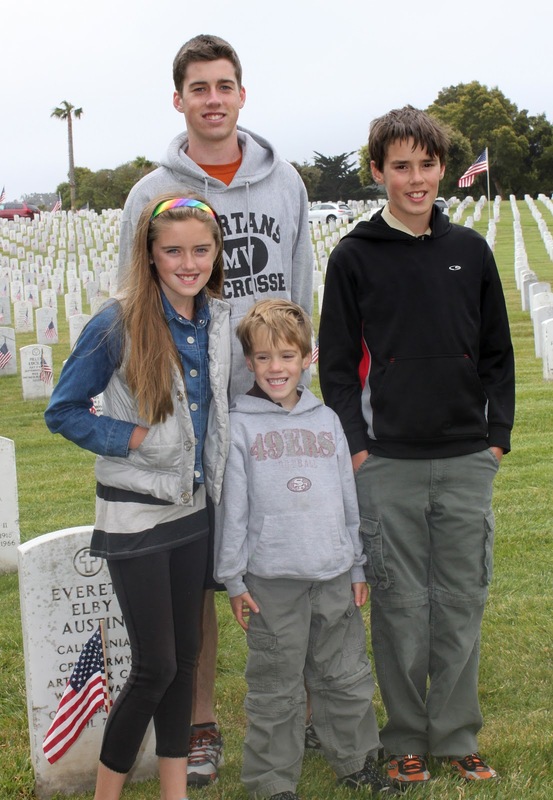 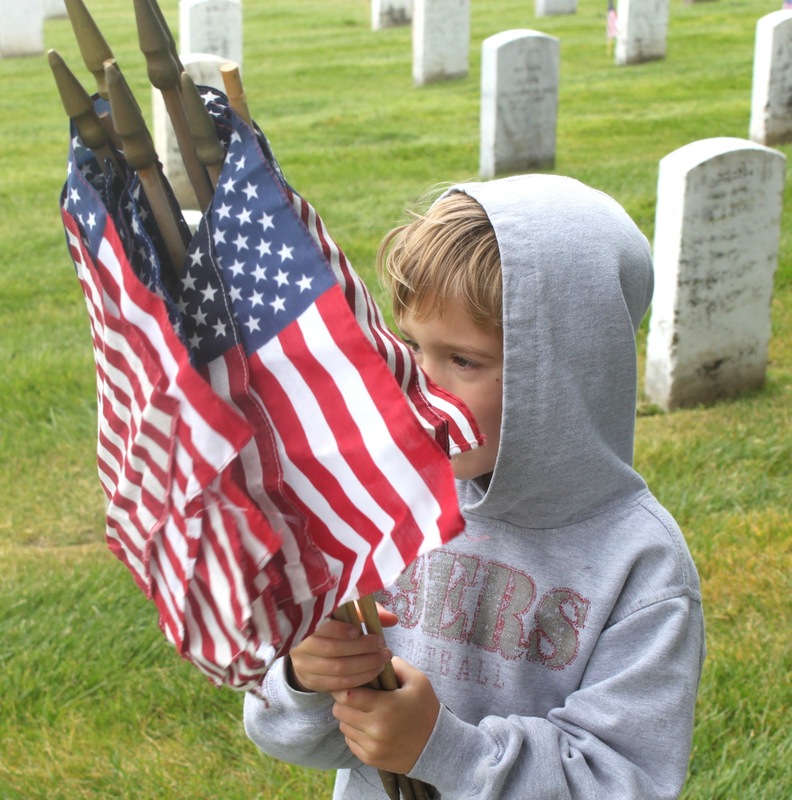 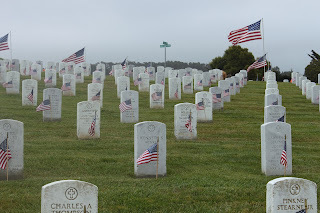 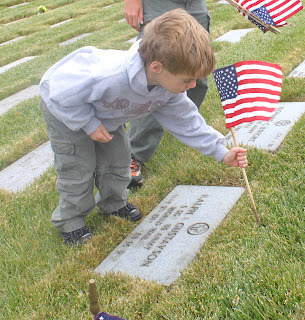 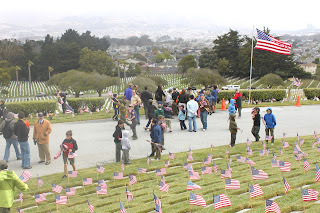 Stevie's Boy Scout troop went to Golden Gate National Cemetary to decorate graves. Steve, Stevie, and Marky went early in the morning to put flags on all the graves. Love that Stevie is showing his little brother how to put the flags in. 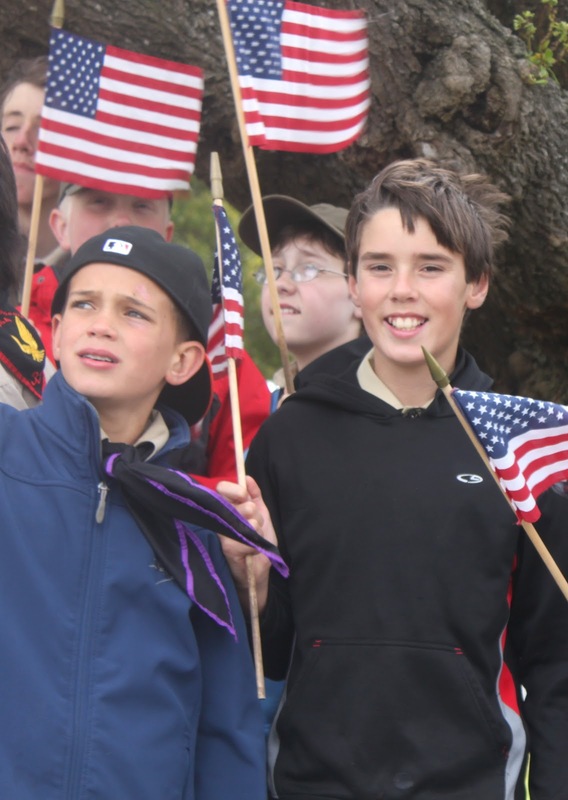 Marky was very serious about working with the Boy Scouts. 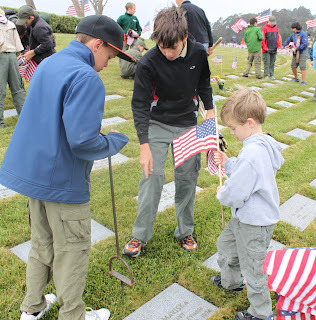 It is an amazing site to see all the Boy Scouts in the Bay Area working together to decorate the graves. We all joined them later in the morning. 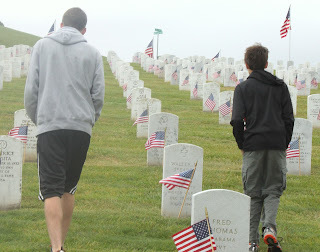 Beautiful picture of the boys walking back up the hill.